Save yourself the trouble! Download them all at once already sorted into sensible files. See free samples below. 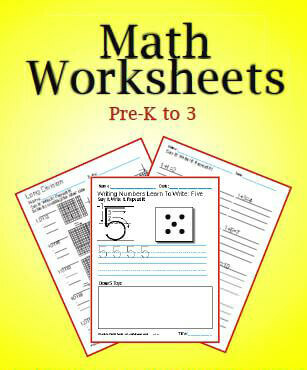 945 Practice Math Worksheets For Kids - Arranged In Files! Practice the basic Math facts three times each. Math flash cards for all four Math operations. Interactive worksheets that can be answered without paper and ink. Print and reprint as often as your students need Math practice worksheets! There are 945 pages of printable Math worksheets in this bundle. No need to be on the internet. There are free samples all over our Math section on this website. All included in one bundle to download. Each of these are divided into handy files for you to choose the practice that your kids need. Print the worksheets or copy them to your students' files so that they can type their answers to fill-in-the-blank. 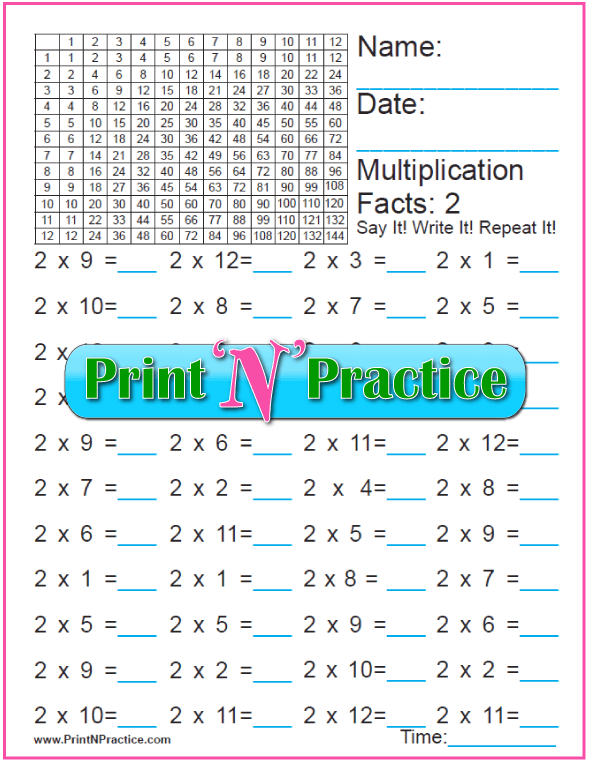 Use with our PrintNPractice ad-free addition, subtraction, multiplication, and division videos. We did the same for the 2nd and 3rd Grade Math worksheets. We simply chose the next table and all of its Math practice worksheets when the text book introduced it. Multiplication, division and fractions are the stars of this show. One of our children learned all four tables at seven years old using these Math practice worksheets. That brought him up to the level of 3rd grade Math worksheets. That was so much better than taking three years to learn the same. Less torture for the kids, less work for me. Oh, how I wish I'd had these for our older children! We would have saved so much time. The rest of these Math practice worksheets are super useful through the 5th and 6th grades, especially for learning exponents, primes, Roman numerals and more. Anytime your children need to review the basics, these are easy for practice. Just go to the right file and either copy them to your child's files to answer by typing on the computer, or print it to be finished in handwriting. Interactive worksheets are worksheets that kids can answer the questions or practice on the computer without printing the pages, or the pages can also be printed. Either way, whatever works. This saves paper and ink. Interactive worksheets are customizable, too, so that you can print your own notes or directions on the worksheets. You can also save your work for future use. 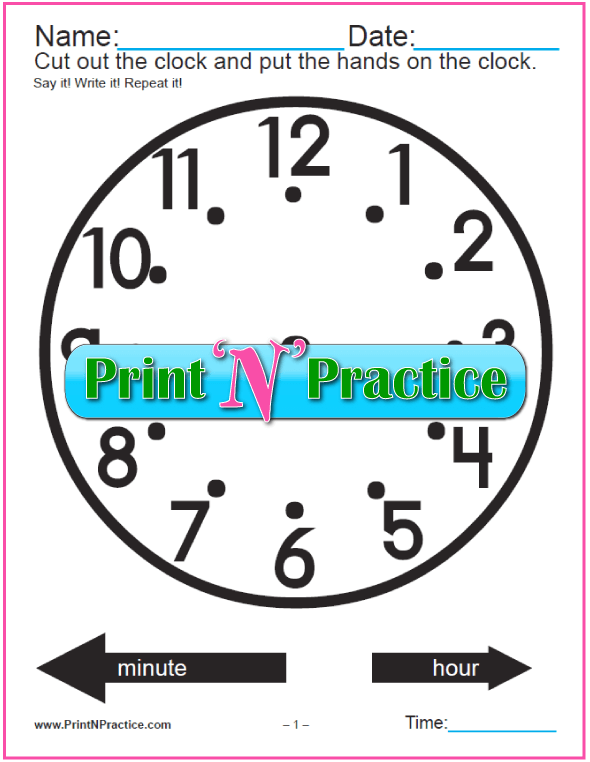 Thank You For Sharing PrintNPractice Math Worksheets!